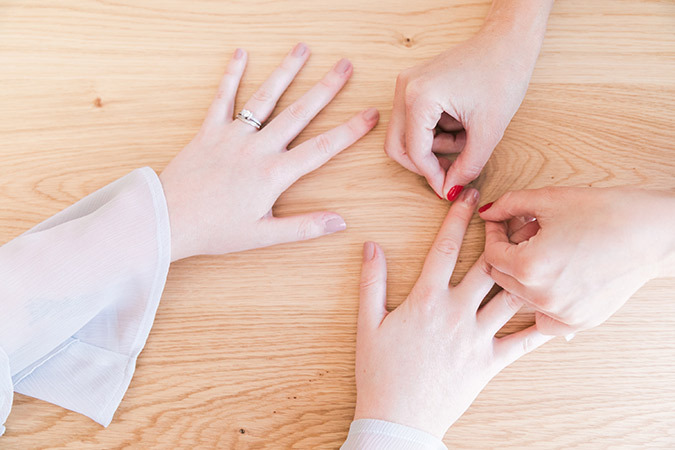 One DIY that I especially love to do during our monthly LaurenConrad.com photo shoots has to be manicures. It could be because I’m such a fan of switching my polish color on a regular basis, or that I find it pretty fun to try out new trends on my Team LC ladies. 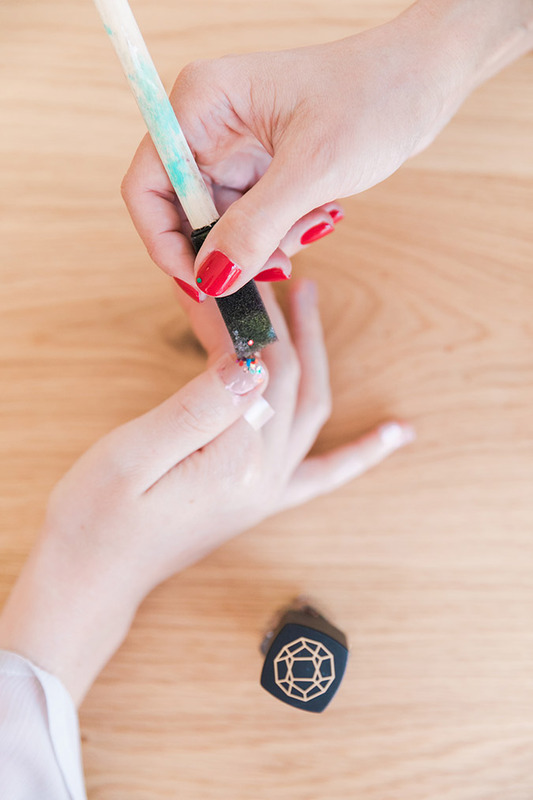 While most of us can agree that getting a professional manicure are a great “treat yourself” or special occasion kind of thing, at-home manicures are my favorite way to unwind and have a little me time. So during my latest home spa nail treatment, I decided to break away from my usual monochrome manicure and try out something a little more colorful. 1. 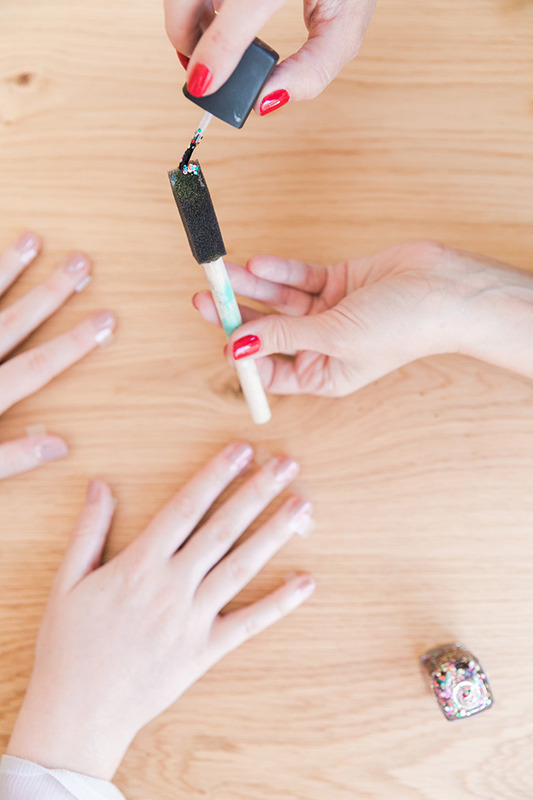 Begin by painting your nails with a base coat and a neutral shade, like you would a classic French manicure. 2. Tape off each tip of your fingernails so that you get a nice clean line for the glitter nail polish. I left about 1/3 of the nail tape-free. 3. The best way to apply glitter nail polish is with a sponge. That way when you apply the polish to the nail, you’re getting as much glitter as possible. I painted glitter nail polish directly onto the tip of the sponge I was using and then applied it to the nail. It’s amazing how much glitter transfers onto the nail by using this technique. 4. Once you’ve painted each nail, be sure to let your glitter polish dry completely before attempting to take the tape off. Gently remove the strips of tape from the nails. 5. Once you’ve removed all of the tape, apply a top coat to each nail. 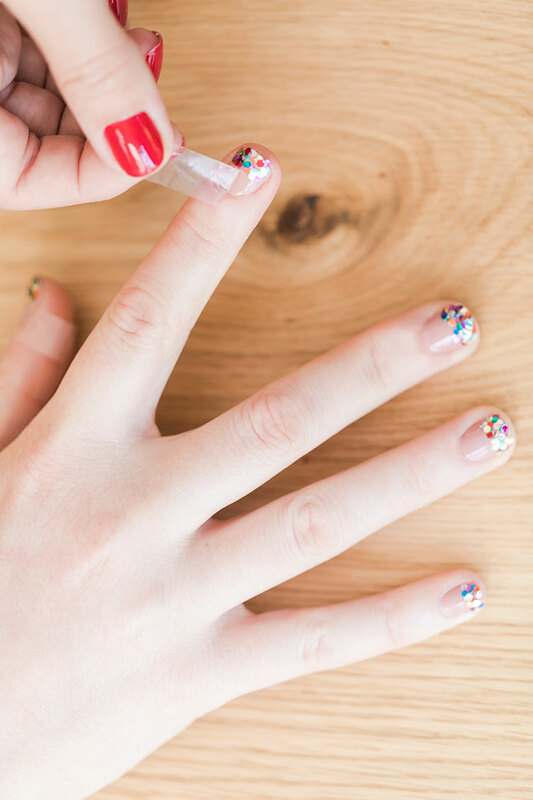 Let them dry and you have yourself one cute and colorful manicure! 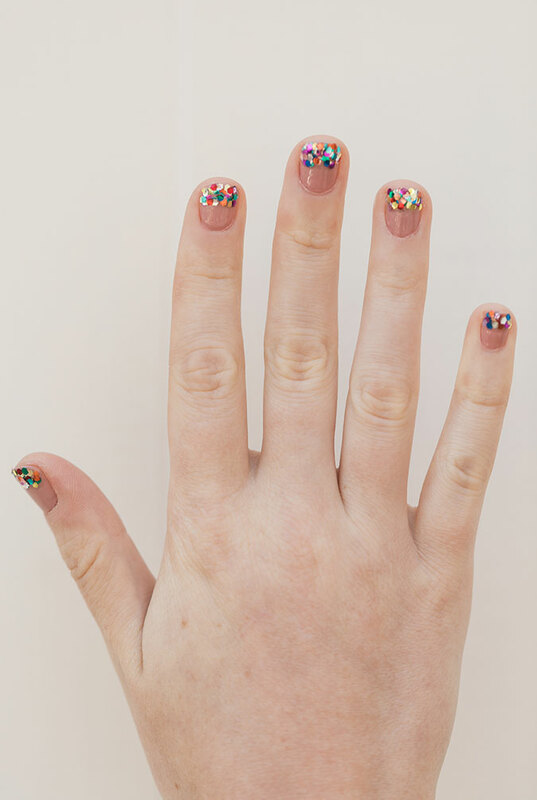 I don’t know why, but this manicure makes me want to celebrate! 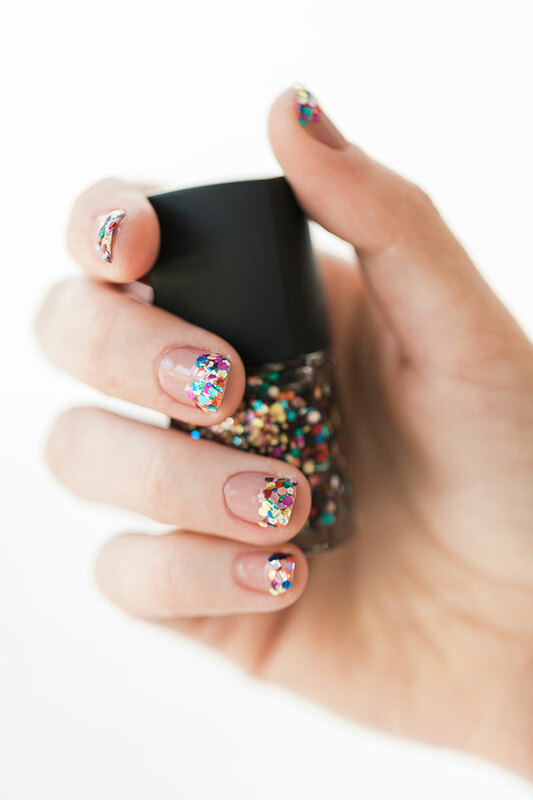 Will you be trying out this glitter tipped manicure?